But what would such a government-run system cost taxpayers in Wisconsin? The MacIver Institute attempts to answer that most important question – a question the mainstream media has all but ignored – in an analysis of a Medicaid-for-all model pitched by some Badger State liberals. Spoiler Alert: It would be tremendously expensive to implement. 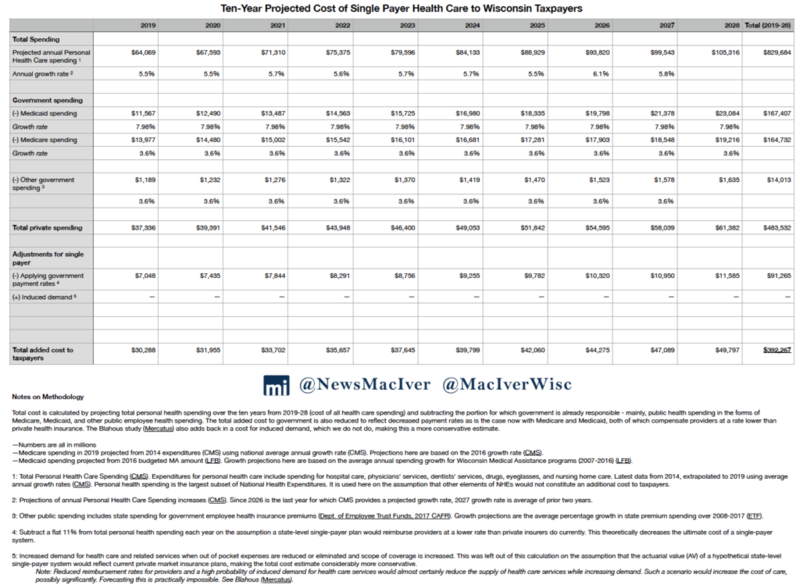 Should liberals take Wisconsin to a single-payer, government-run health care system, taxpayers would face $30.2 billion in additional costs in the first year alone. The low-end estimate is drawn from data obtained from the federal Centers for Medicare and Medicaid Services, presented in the following tables for your review. 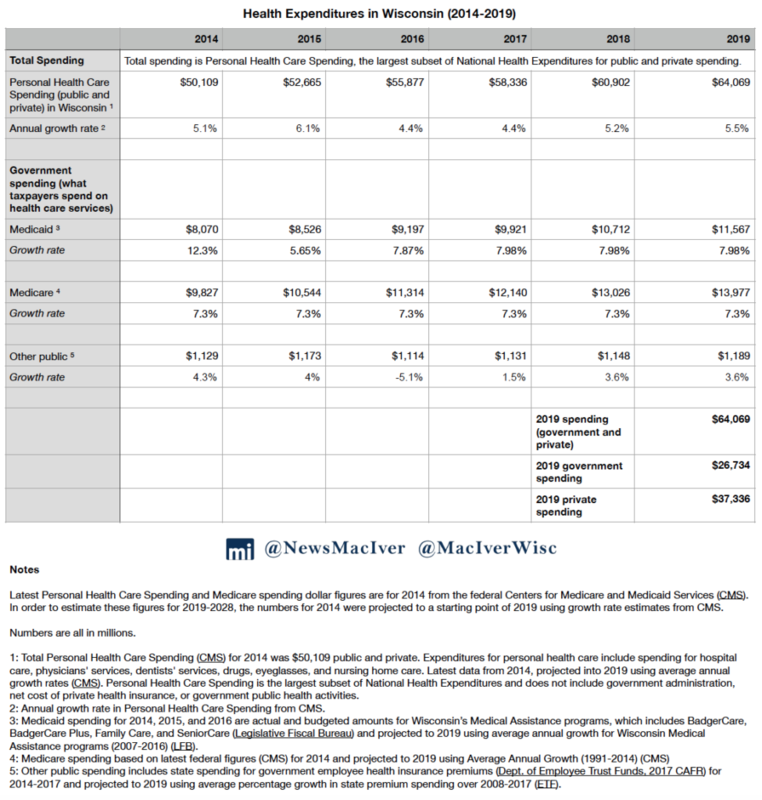 MacIver’s analysis arrives at the hefty figure by calculating government and private sector health care spending in Wisconsin, at $64.069 billion for 2019. Then, MacIver subtracted the costs of existing government-run programs, at $26.733 billion, already paid for by taxpayers. The final number of $30.288 billion is the new taxpayer obligation for a government takeover of Wisconsin health care in the first year. At $30.2 billion in 2019, universal health care would nearly double the state’s annual budget, drastically increasing taxes. The cost rises each year thereafter. MacIver’s analysis includes the government administration savings that single-payer advocates assert would be realized under government control.